First-half goals from Nicolas N'Koulou and Andre-Pierre Gignac earned Marseille an eighth consecutive win to take them seven points clear of rivals Paris St Germain in Ligue 1. In front of a record Stade Velodrome attendance of 61,846, the league leaders continued their march in comfortable fashion as they celebrated a 2-0 victory over Toulouse. Defender N'Koulou scruffily converted Dimitri Payet's free-kick for the opener before Gignac fired his 10th goal in as many league games this season, and Abdelaziz Barrada was denied a late third by a goal-line clearance. Roared on raucously by their fans, Marseille were quickly on the attack and Brice Dja Djedje set up Payet whose drive was saved by Zacharie Boucher. 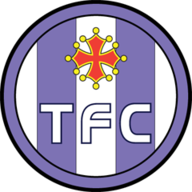 Toulouse knew a win could lift them from 10th in the league potentially to as high as third, and Martin Braithwaite had an early chance but was denied by goalkeeper Steve Mandanda's fingertips. Marseille led in the 19th minute, though, after Payet swung across a left-wing set-piece and the final touch came off the shoulder of N'Koulou. 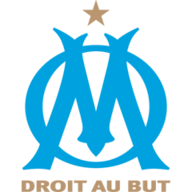 The second was far more clinical, though, as Jeremy Morel and Benjamin Mendy combined to tee up Gignac on the penalty spot and the division's top scorer, playing against his former club, hammered emphatically past Boucher. It was 2-0 at half-time and Boucher was forced into action early in the second half, beating away Payet's first-time effort after the France winger was set up by Gignac. Toulouse's Pavle Ninkov went close with a volley and Payet curled a free-kick over the bar at the other end. Le Tefece had few chances in the second half, though Adrien Regattin's audacious late free-kick forced Mandanda to back-pedal and palm the ball away. There could have been a third OM goal in stoppage time when Barrada raced on to Andre Ayew's pass and rounded Boucher, but Issiaga Sylla raced back to clear his shot off the line.